Home → News → Bez kategorii @en → How Much Is 2 Plus 2? Or Humanist Studies Today. 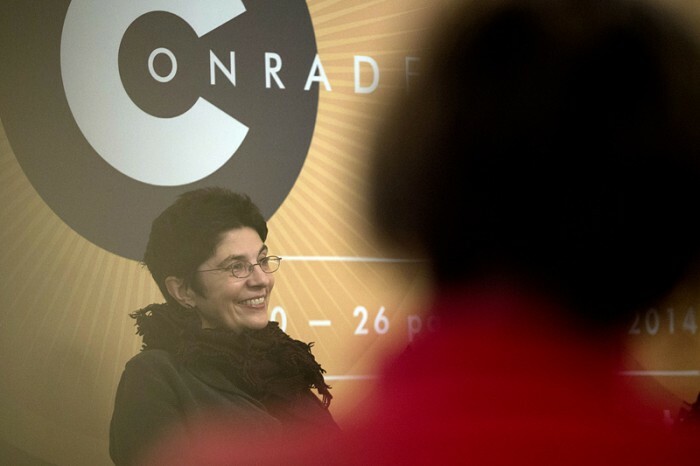 What Krakow and Edinburgh have got in common, what attractions awaited the youngest on the Sunday afternoon at the Festival, excellent and unusual book covers and the changing landscape of Sweden – this is what the last day of the 6th edition of the Conrad Festival was devoted to. Why Edinburgh? Not only because it is the city of Harry Potter, Doctor Jekyll and Waverley. Edinburgh is also the place where James Robertson set his novels. The city has fascinated writers for a long time, because it is a good space for many creative activities. Just like Krakow. 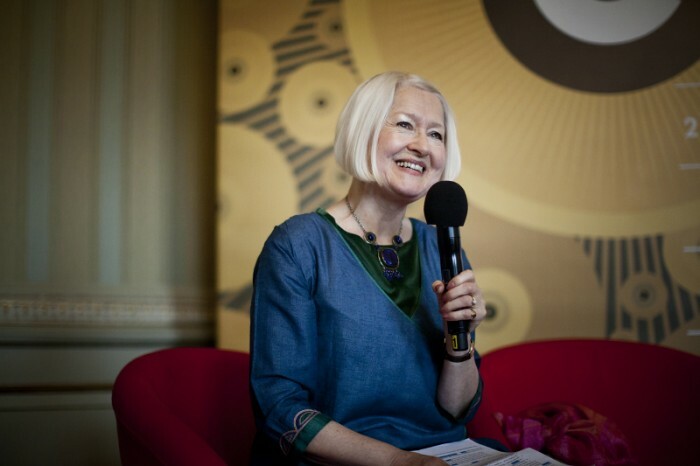 For one year now, Krakow and Edinburgh have been linked to one another with a special bond – both cities hold the prestigious title of the UNESCO City of Literature. It is a great honour and at the same time, a challenge. It is this very theme that was discussed at special meetings. 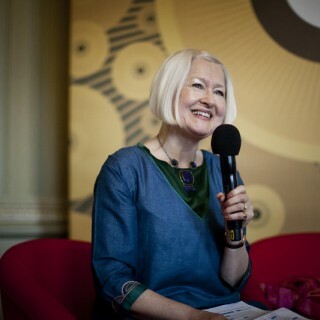 Earlier, a series of literary events for children took place. 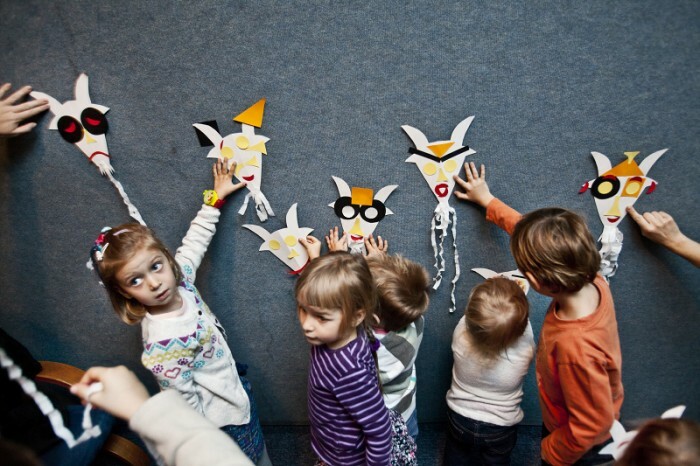 First, the youngest had the opportunity to prove their creativeness right after the projection of the film Dziwne przygody Koziołka Matołka (Strange Adventures of Goat the Fool), and next – together with Marek Bieńczyk – they got to know a certain rabbit. Przemysław Dębowski has been one of the leading book designers for years. He talked about his job, successes, reflections and about the book market tendencies during an afternoon meeting in the De Revolutionibus bookshop. 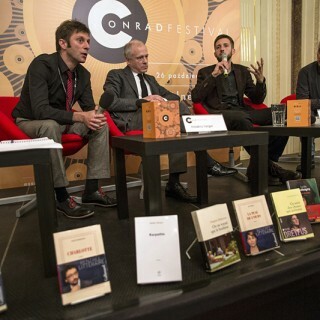 On Sunday as well, The French Institute in Poland, at a special press conference, announced that for the 17th time, a jury composed of students representing twelve universities from all over Poland chose the laureate of the award called Lista Goncourtów: polski wybór 2014 (The Goncourts’ List: The Polish Choice 2014). This year’s winner is David Foenkinos and his novel Charlotte. 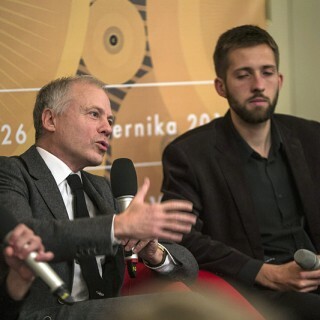 In the evening, at the Palace under the Rams, readers met Dariusz Czaja. His latest book, Kwintesencje. Pasaże barokowe (Quintessence. Baroque Passages) has just been published. 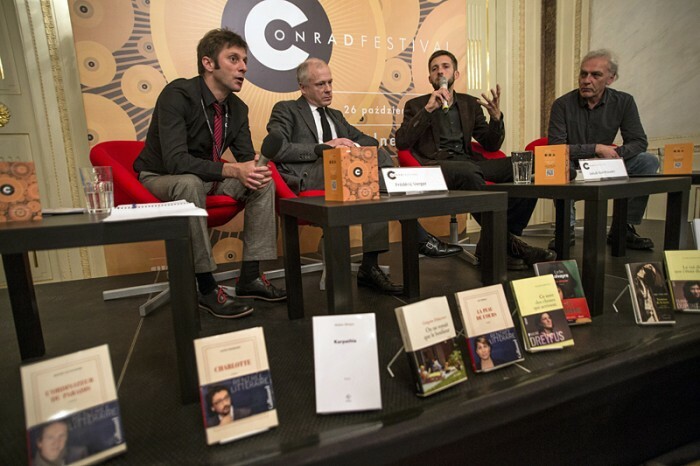 The conversation on the theme of this volume was moderated by Ryszard Koziołek. Additionally, Czaja presented some of his reflections about the essay genre (still not very well received at universities), he also paid attention to the specific presence of the subject “I” in his texts. In humanist studies, 2 plus 2 does not always have to equal 4 – said Czaja. Sometimes, it can be 4 and a half; sometimes, even 5. When I am saying ‘I’, it does not mean that I am devoting the text on the altar of excessiveness or impressions. Surely, a certain kind of honesty and an attempt at objectifying one’s judgements are important. 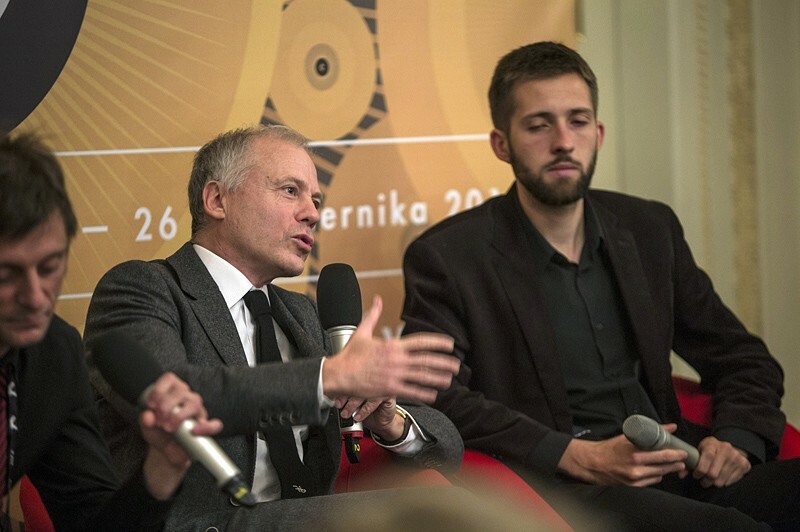 Koziołek, telling a few words about Czaja’s book, paid attention to the circumstance that the book’s sources are the love of baroque music and the fascination with historically informed performing of this kind of music. I wanted to share with the readers what happened to me when I listened to it – said the author of Kwintesencje. – I looked for an interlocutor whom I could take by the hand and lead in my direction. When asked if music was for him a metaphysical or rather a physiological experience, Czaja answered: At this point, I have to confess that I am more like an animal. If I can feel a thrill on my back, it means that the thing is good. So a physiological criterion is decisive. 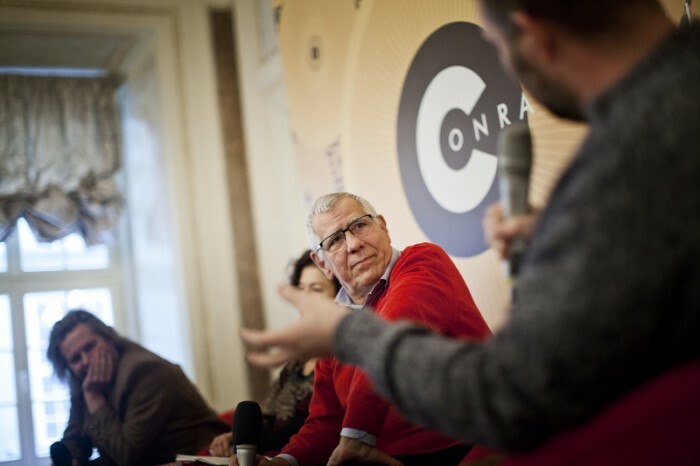 The Festival was closed with the meeting with Maciej Zaremba-Bielawski, who talked about the changing landscape of Sweden. Changing for worse, let’s add. For the phenomenon of cutting down forests has for some time increased. It is odd, since Sweden is the leader in taking care of water quality, everyone pays also attention to litter recycling, but there is no protection of environment as culture – noticed the participants of the meeting with Zaremba Bielawski. The reporter admitted that for some time the forests’ owners have rebelled against cutting down trees, however their protest has got a limited reach. From time to time, someone calls one of the numerous forest owners and proposes to buy a given terrain for millions of Euros. As a result, the new owner clears the forest, which becomes a wood factory – said the journalist. Zaremba-Bielawski, together with the guests and participants of the last Festival meeting, paid attention to the need of ecological thinking. This is not so simple, of course. 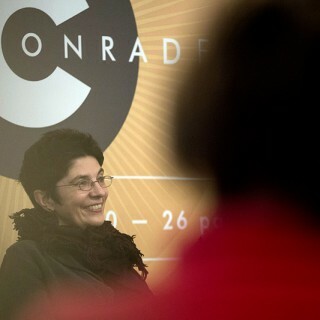 However, the need of civilizational understanding constituted – in the light of the leading motto of this year’s event, Shared Worlds – an apt punch line of the 6th Conrad Festival. 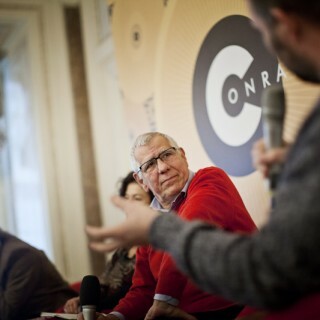 The Conrad Festival is a joint undertaking of the City of Krakow, Krakow Festival Office and the Tygodnik Powszechny Foundation.